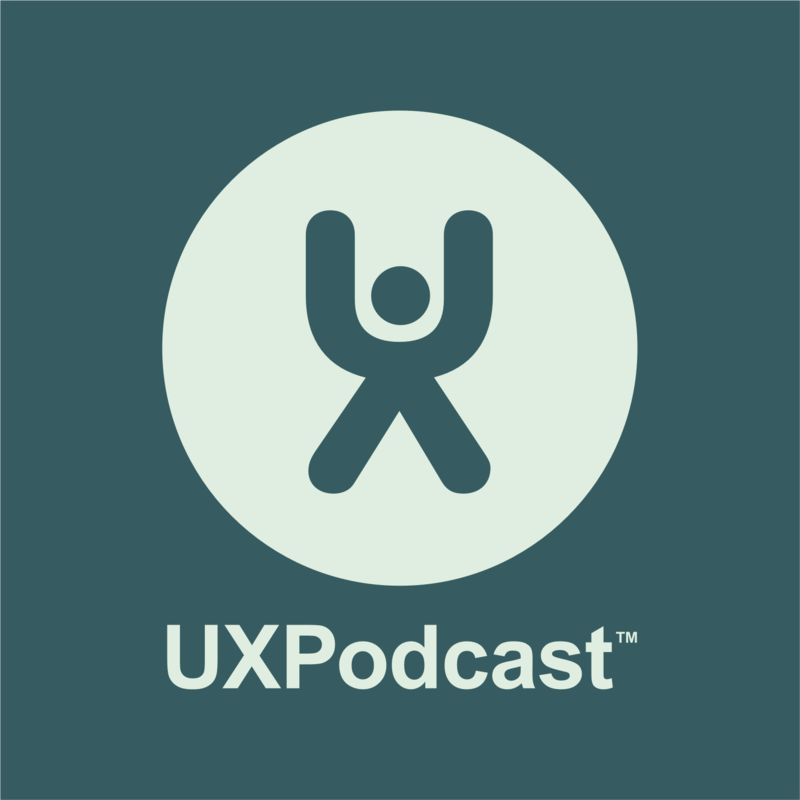 A transcript of Episode 203 of UX Podcast. James and Per talk to Bruno Figueiredo and look back at UX in 2009 and speculate about UX design in 2029. PER: We have listeners in 182 countries from Togo to Kenya. JAMES: We’ve got our own little variation of the 10 year challenge for you today. In our 200th episode, Lisa asked Per and I about the future of the podcast and UX. In that show we gave a brief answer about design and I focused quite a bit on legislation. Today, though, we thought we’d expand the topic a bit. And in our own 10-year challenge we’re going to take a look towards the year 2029. PER: And to help us do just that, we’re joined by Bruno Figueiredo. Bruno for the past 10 years has been curating and organizing one of our favorite conferences, the UXLx Conference in Lisbon. And I believe doing that and having attended as many of those conferences as we have, we understand that he has actually hand-selected a lot of people from a different broad wide areas of industries and people that may not even have identified them as UXers. And in that sense, for me, I think Bruno has even set the stage for some of the paths that people have chosen. I know that Alastair Somerville did not identify as a UXer the first time we met him at UXLx and our most recent interviews that we released from the past UXLx with Kathryn McElroy with the Arduino prototyping – he’s pushing the boundary of UXers. I kind of love what he’s doing with that conference. JAMES: Yes, I didn’t recognize myself as a UXer until I started going to UXLx. JAMES: Absolutely. I think Bruno has been filling the pores of our industry and reading what people want to learn about and hear about for of the past decade. So it feels a good choice to join us in this topic show. So we’re three middle-aged men now, can we remember as far back as 2009? BRUNO: I think I still can. It’s not very far away. JAMES: You’re very confident, Bruno. PER: It’s kind of blurry, though. I mean, from 2002 to 2011 probably kind of blurry. JAMES: Well, it does get blurry because you don’t remember exactly when certain things did happen. But 2009, so we’ve got iPhones – we started to get the smartphones and iPhones but we’ve not got as far as responsive web design, have we? PER: But at least we’re not designing with tables anymore. JAMES: Most of us have moved on from tables. And Flash by then, as well – that’s pretty much dead by 2009, I guess? BRUNO: Well, if you’re talking iPhone, I mean, iPhone kind of killed Flash. There were lots of debates in the beginning because iPhone didn’t support Flash. YouTube used Flash around that time. BRUNO: And I think it lingered on for quite a bit after that as well. JAMES: But how we were working back in 2009? BRUNO: Well, I think one of the main differences is nowadays we use mobile devices quite a lot more so maybe accessing the web these days might be primarily done with mobiles rather than desktops. And I think that’s quite a big change. JAMES: You’re absolutely right about that, Bruno. I know back in 2009 – for one, I wasn’t calling my self a UXer of any form and we weren’t doing mobile first and we weren’t testing websites primarily on mobile or even at all on mobile. So absolutely, the way of working in that sense, I think, has changed a massive amount given were we’re putting our design focus. PER: I think that’s probably around the time when sliders started becoming popular, sliders on the home page. BRUNO: Yes, I remember one of the first workshops we did at UXLx was something about using rich interactions like we would call them those days. So we were just starting moving on from mostly static web where you had to click on something to refresh the entire screen and moving into asynchronous paradigm. In 2009 we were just getting to that, and that changed the way immensely. JAMES: Yes, of course, around that period we were thick in the whole Ajax time of things, weren’t we. We were just getting to the point where we could dynamically update pages. JAMES: But you Bruno, you’ve got kind of a unique situation. You’ve been spending 10 years now watching the world of design to see what we’re all interested in learning so that you can pull in people for UX conferences and workshops. So apart from the mobile side of things, what else have you noticed has been a big change in what people are after? BRUNO: I think in the beginning almost everyone that was doing UX kind of landed into it coming from all sorts of different places. So the discussion for the first two years was focused about what do we do, what are we? A little bit existentialist. And I think when we stopped doing that we started to have more specialized roles, and new things emerged like, sort of, this design, like content strategy. So people started focusing on different specializations of the UX field. And I think we’re still doing that. The field is splitting into a very more specialized streams. JAMES: Per and I are acutely aware of the whole thing about how much conversation that was around who we are, the existential side of things. That’s what inspired the whole start of the podcast. I don’t think that has gone away. It’s just that we’ve got other things occupying our time, I think. So it isn’t the most dominating of topics nowadays. PER: I think we were trying to figure out who we were. We were also struggling for more power. I was looking for my LinkedIn profile and realized that 2009 was actually the year that I attended a UX intensive training course by Adaptive Path that was run in Berlin at that time. And it was design strategy and design research and it was about taking your design practice to the next level. So I think before that we were basically just providers of a design to someone else. But whereas we now have matured so much that we’re actually in charge of the design in another way. So it’s the maturity. I think it’s a big difference. And that’s also what’s allowing us, of course, to split into smaller and smaller segments. Everyone is becoming more specialized around these issues. JAMES: Yes, you’ve got the fact that 2009, I didn’t work in the agile teams or I didn’t’ work intrusively, I guess, we’re developing things. I mean, every single thing, I guess, I worked on back then was sit down, work out what we wanted, and then start producing it. Or go through the laborious process of choosing the agency to come and do the end production. You didn’t just get on with it yourself, you had to go through that procurement process of finding someone. And then that whole dance of, “Have they done the right thing, have they done the wrong thing? Who’s going to change it? Do we have to pay for them to change it?” So that’s a massive difference. You must notice that too, Bruno – running and agency. BRUNO: Yes, I think in 2009 we as a community, we all agreed what the right process of working would be. And it took a while until we all started effectively doing everything that we preached back in those days. So I think that that’s one difference. I don’t think that at least, the market was fully ready to accommodate for everything that we wanted to do for the entire process that we were outlining those days. JAMES: That’s probably still true. I thin organisations, at least the ones I’ve come into contact with, they find it challenging to, for example, by sprints rather than buy an app or by a website. It’s a challenging concept to get your head around paying for as an organisation, I think. PER: And this is just the case, I mean, we’re just stretching out the maturity. Some practitioners and organizations will still be around where we’re talking about to 2009 whereas others have moved on quite far to actually having their whole in-house UX organizations with a product manager on top of them running it like its own business but within the company. JAMES: That’s really good to flip out 10-year challenge forward. So now we’re in 2029, we’ve jumped in our time ship and gone forward. Where are we at now? What’s are the major changes we expect to our work as UXers? We will even be UXers in 10 years’ time? BRUNO: It’s a good question. I think so. I think it’s established itself even though the meaning might be slightly different. I think that in 2029 what we will be focusing on will be different kinds of interactions. I think in the past 10 years the interaction on web evolved a lot to a point – I don’t know I there’s much more we can do to increase the quality of interaction on the web from a technology standpoint. But in 10 years I think we’ll start seeing entirely new ways of interaction that go a little beyond the desktop. And we’re starting to see that now. With the focus on virtual reality, augmented reality I think in 10 years augmented reality will be a big part of our lives if we can manage out the weight of the interface to access it. I think that’s the largest drawback for that kind of technology. JAMES: Virtual reality, I don’t think that will take off again. We’ve talked about in previous episodes about the usefulness of augmented reality. That perhaps is going to be something that takes hold in the workplace and so on. But I’m not sure exactly how the mass adoption side of augmented will be. I think, there, we’re going to be landing in more very specific applications to enhance something a little bit. I don’t see us all walking round with Google Glass attached to us. BRUNO: Well, maybe not that, and certainly the devices that we have nowadays in the market – they are big and cumbersome to us. I don’t think people will update around these. But I hope there will be new devices emerging that will be streamlined, lighter. As with you, I don’t believe virtual reality is something that has much of a future besides game. But augmented reality is really where I see we could advance the signs of interaction. I was just watching a movie on Vimeo the other day called Sight. It’s a short movie but it has a vision similar to what I think will happen in a couple of years. So if you have high definition screen right in front of your eyes and you can project anything on to it, you don’t need screens anymore. And I just revisited, a few days ago, a video that Microsoft did 10 years ago. You know, one of those vision videos they put out every now and then. And it was mostly about screens and paper-like screens. But you touching physical screens everywhere. I don’t think we’ll actually get to that because screens dematerialize sooner than we expect with the advancements in the field of augmented reality. But as I said, the biggest drawback is finding the good interface for some really light glasses or something because I don’t believe the answer is using your smartphone and pointing at things and looking kind of, like, through a keyhole like we do today because that’s cumbersome. But when you start thinking about materializing screens and maybe feeding information from IoT devices into that as layers of information in front of your eyes I think that’s where we’re heading. PER: I can see myself walking around with a contact lens. I mean, if you could fit this technology into a contact lens that takes you a second to put in and take out. Certainly. But I’m always afraid of where that will take us. I’m always imagining stuff. So yes, it’s great if I’m walking to the bus and I can see a timetable for the bus in front of my. If I can look at my child and see vital signs like their pulse and fever. But also then what would happen in the workplace if I’m looking at people and I can see their names, their age, their heartbeat. Will I detect, oh, is that person lying? Will I start wondering things like that? Where will the information – how will we make sure that people can stay private in a world like this because face recognition will also of course be adopted by any type of screen that we have in front of us all the time. JAMES: That ties in with what me and you were saying in Episode 200 when Lisa asked us a question that we answered with legislation was the main thing that I thought will come and affect us. Thinking about what we’re saying now – well Bruno you said that we may be reaching a technological limit with what we can do with interaction. But there, I think, we’ve still got a huge amount to go when it comes to accessibility when it comes to the interaction. We may have designed stuff really nicely but implementing it, we’re falling away short. And then when we start talking about augmented reality and screens and the visual side of things. There, again, will we be wanting or forced to make things inclusive going forward? So in ten years, will society want to have a dividing piece of technology? Something that excludes huge chunks of society because it’s just not possible to use for certain groups of people around us. BRUNO: Well, it’s certainly a problem for vision-impaired people but for people without disabilities just imagine that they could be talking with someone and being able to read instant captions on what are they talking. So in some ways, yes, it can be a little more dividing but also more inclusive to other people with disabilities. JAMES: But I think that kind of thing, though, where the technology becomes kind of a layer of something that is a service layer. It’s not actually something that maybe we’ll have to design or we’ll have to work with designers because instant captioning will be a service layer that we just employ in the things that we create. Maybe even some of the augmented aspect that we’re talking about, whether it’s augmented vision or augmented hearing some of these things maybe will be service layers. So they’re not what we’re going to be working with designers. BRUNO: I’m not sure if entirely agree with it because I think in the future, designers will be more involved in business processes. So the experience – and we’re starting to reach this stage nowadays the business layer of the services we design, automation and artificial intelligence. I think that will need to be designed as well. So everything that happens behind the screen will need to be designed in the way that it’s not visual but it’s part of the service. PER: Part of the choice architecture. PER: What choices will be offered to the user? When you say automation there, that makes me think, so what parts of what we’re doing today will be able to become automated in the future? JAMES: That’s a good point. Generative design is one of the phrases that’s used where machines produce many, many design variation for us and perhaps even choose or suggest the right one or we, maybe, then help them decide the final one. PER: Historically, I mean, we’ve been pretty bad at understanding human behavior. Maybe we can design a machine that can understand humans better than we can understand ourselves. Depending on what goals you’re setting for that machine, what will be the purpose of the machine? And that’s the things that keep me awake at night. We will decide the value system of the machine. BRUNO: I think one of the large difference that we’re walking into is technology is ever more personal. Nowadays, if someone sees you using your mobile or your tablet, it’s a personal experience that they’re witnessing on the side, they don’t know what you’re doing, they can only assume that maybe you’re eating or watching a video. But when we move into personal augmented reality, you have your own world there that no one can peek into. So it’s a never more personal experience. The layers of information that you choose to use, they both can be projected into the same physical space. But they would be two different realities. PER: Yeah, I can’t remember. JAMES: I can only hear Laurel so I’ve forgotten what the other one is. JAMES: Yanny and Laurel. So everyone has got these variations of reality, then, you know, you can have conversations were you don’t truly understand the variation of reality you’re talking to that’s perceived by the other side of the conversation. But I’m getting into some of the practical challenges of stuff that we’re imagining. I mean, we’ve talked an awful lot these last few years about chat-bots and voice interfaces. What do we think about that in 10 years’ time? PER: We have been talking about voice interfaces since the early ‘90s or even before that. Bill Gates has predicted it many, many times that “Next year, next year.” My problem with voice interfaces is that I live in a family where everyone can control everything. And I wouldn’t walk around if everybody is just talking to the devices when they’re walking. I can’t see where it will be used. I have so much trouble understanding the application of voice interfaces. I mean, I still use it for turning on lights, for scheduling an appointment in my calendar, sure. For command and control, stuff like that. I can see a use for it, absolutely. BRUNO: I think as we evolve in that field — I think some people and some cultures are not as comfortable with talking to machines as others. And I think the main thing is that we’re still very much aware that we’re talking to a machine, particularly when the machine doesn’t understand you. So if their technology gets better I think that people will start engaging more with it and it won’t feel as much as we’re talking with a machine. JAMES: I actually think maybe it’s the tech side of this which will be a bigger thing in ten years. I’m basing this on the fact that there’s report after report now that’s saying about how the new generations are – the less likely they are to ring people, to talk to people, to have voice conversations. So any interaction with an authority or a company, they prefer to do it via writing rather than talking. So perhaps 10 years’ time there will be a huge shift of – conversational transactions will be texted-based. BRUNO: I think so. I don’t know if it’s the synchronous nature of it. In a world where we’re ever more busy and doing things, asynchronous communication fits better than synchronous modes like the telephone. PER: So when you say there, Bruno – you say in a world that is ever more busy, going back in time we thought we would come to a place in the future we wouldn’t have to work as much and it seems like we’re working more and more. So when we’re trying to predict the future, what are we actually trying to do? Are we trying to think of the things that would help us work more or work less or be more comfortable or less comfortable? For me, there’s something wrong in how we – do we want to create more stuff and for what purpose? What is it that people will actually be demanding of designers in the future? Will there be a backlash where people understand that they have been manipulated by designers for many years in the sense that people are using cognitive tricks to actually force people – in a choice architecture fashion, force people to at least make choices that may be better for them, harder to make. I’m seeing that people will actually be more weary of technology in the future because we’ve been treating people in a bad way. JAMES: I think so too Per. We’re already starting to see the information backlash. I thin people’s knowledge is starting to rise about what information is potentially gathered and how stuff can be used. Although it’s an incredibly complex thing for a lot of people to get their head around. What you can do with information at scale. But looking at how people are reacting to Facebook and some of the big operators; Google and so on. What I’m hoping is that we’ll see something like Tim Berners Lee’s solid project or if Microsoft had launched their own kind of idea of – the idea where your information will be contained in a digital entity which you then control how this is distributed and loaned out to other parties rather than the model we’ve got at the moment where Facebook and Google and Amazon basically own every single bit of data about you and they decide, effectively, who by and large gets to play with it. If that situation is coming to play in 10 years’ time then that will make a massive difference to how we conceptualise things that we’re working on, how we design things that we’re working on. Because it will flip the data model. BRUNO: And a few years ago I think it was Clay Shirky there is no information overload, there is only futile failure. That’s one thing that we suddenly need is to have better filters for information in the future. I think that’s going to be a huge challenge. PER: And a kill switch, a kill switch for my technology sometimes when I want to break. So there was this excellent piece of tech that I actually saw the other day. I forget what it’s called and it was tweeted by Alan Cooper. It was a device that you actually put on top of your Alexa and it takes over, and it emits a sound into the Alexa microphones so the Alexa can’t listen in on everything you’re saying. And then you can set your own activation phrase for that device, and that device will translate that to activating the Alexa. Which means that you’re actually blocking Alexa from doing what they designed it to do and you’re deciding what the Alexa will do for you. So I think that type of technology will be interesting as well to, actually, people selling technology that will keep your data safe. JAMES: You see, there’s just so many fascinating things you could get into here. It’s probably out of the scope of this podcast today but just the whole medical side of technology advancement as well. Imagine the time where someone operates in their voice cords a noise cancelling enhancement so that you’re permanently not being able to be picked up some of these devices. BRUNO: You did start a good point. Health. I think health and technology and the way you see advancement into personal technology that tracks your health like smart watches and other devices, I think that’s going to be a challenge for the next 10 years. I think we’ll start seeing a lot more medical devices tracking you and having those in your home. I think we’ll start seeing small diagnostics devices that you’ll have at home to take care of your health. JAMES: You’re completely right there. As far as – kind of, if we had a sure hand, how many of us are working with health related design? I think we’re going to see a lot more hands rise up. Because it’s a pure numbers game in 10 years’ time. There’s a world of baby boomers born in the ‘40s who are going to be seriously in need of more healthcare. That means there will be more demand, like you say for some of these health care issues. Which means there will be more design for these healthcare things. So I think that’s one of the few things we can probably, with great confidence, predict for 2029 is that we’re going to have a lot more UXers working with health. PER: And me myself having worked with health things for seven years now I completely agree. It’s just growing and growing and growing and suppliers are just struggling to get into this area all the time. BRUNO: One other thing that I think is going to be massive in 10 years is the holistic design process and how – nowadays we’re working in service design. But we’re working in service design in a way it’s tied to the company that hired us to do that. But companies are ever more working with other companies. So how does the experience evolve when there are other players in between and how do the services of one company connect with the services of another company that they didn’t even expect to be intertwined in the first place. So I think that’s going to be a challenge. JAMES: Well, I think we’ve pretty much wrapped up 2029 and 2009. Spanning 20 years. 20-year challenge in the end. PER: Yes, there will be stuff for us to work on. That’s a definite. There are so many challenges out there and it’s impossible to know what direction we’ll take. But the important thing for me is that we’ll actually keep being the voice of the users, the voice of the humans and being even more than human-centric, even human-considerate. JAMES: No matter what happens with technology, I think our role is still going to be as guardians of that interface between humans and machine. Thanks for joining us today, Bruno, and helping us out with this topic. BRUNO: Thank you for having me. PER: Robbing the piggy bank again. This is a transcript of a conversation between James Royal-Lawson, Per Axbom and Bruno Figueiredo recorded in January 2019 and published as Episode 203 of UX Podcast.